The Alfred Noyes ballad is a great starting point, Christian Birmingham’s evocative cover illustration whets the reading appetite and the opening is wonderfully dramatic. Bess’s daughter is a highwayman and William de Lacey, the son of the High Sheriff, a young runaway who becomes her companion and the story’s narrator. The physicality of the time is evoked really well in the detail of food and market and medicine and there are striking scenes of dangerous chases. The sections with the young army runaway, Henry Parsons, are especially poignant giving rise to their own ballad and there is an interesting, but undeveloped mystery of a ghostly figure which twice leads the characters out of danger. The reader is quickly immersed in the layered detail of the characters’ lives and the times but William is a curiously pedantic narrator at times particularly in the use of plot-pumping questions used frequently at the end of chapters: ‘Which direction was I facing? Which way had I come? Which way was safety?’ It would have been intriguing to have this Bess tell her own story. 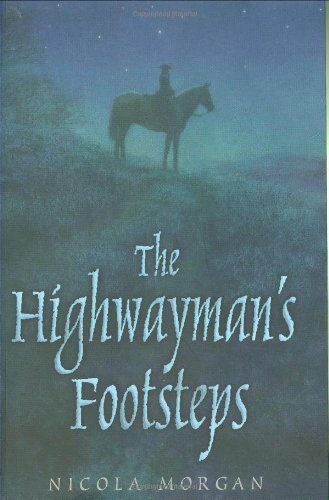 The echoes of some of the ballad’s lines (the whole is reprinted at the end of this novel) are a reminder of the haunting power of ‘The Highwayman’, its shocking drama made starker by the lack of background detail.